Free games: Grab a bunch of free goodies for hyper-stylish anime brawler Kritika Online! 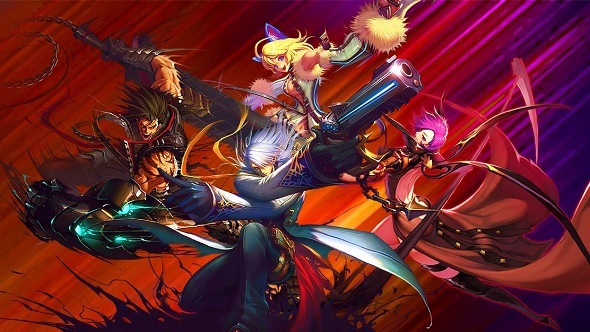 If you’re into hyper-stylised combat and big anime eyes then Kritika Online is a game you should give a try. Need more incentive? How about some free goodies? That’s exactly what we’re offering you in this here giveaway – just keep reading to find out how you can grab yours. Check out the best free Steam games if you want more freebies. Firstly, if you don’t know what Kritika Online is all about, let’s get you up to speed. It’s a brawler that features – as you’d expect from anything that prides itself on its anime stylings -over-the-top action with giant blades, superguns, and dazzling acrobatics. As it’s an MMO, you start off by creating your character – big hair is a must, obvs – choosing from one of a range of character types: Warrior, Gunmage, Rogue, Monk, Reaper, and more. You can then choose to fight alongside your friends or go it solo as you battle through instanced dungeons – known as danger zones – as quickly as possible. The reason for the speed being that you get better loot for the faster you can clear levels. It’s a game ideal for mix-maxxers, then, letting you focus on stylish, vicious combat against hordes of enemies and huge bosses. All you need to do is complete one of the actions in the widget below and you will receive one of the codes – providing we have some left, as this is first come, first served. Instructions for how you can redeem the code are provided below the widget. Please read our terms and conditions before you enter.